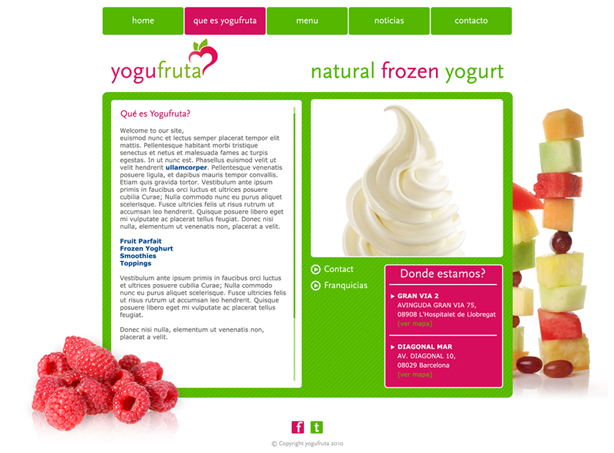 Website for Fresh Yoghurt Franchise. 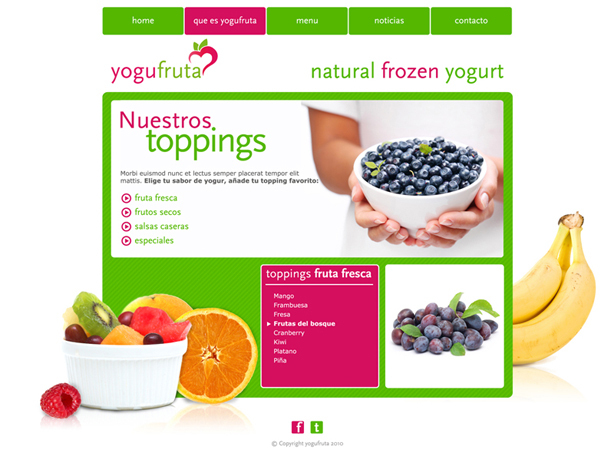 Web page (based on the Wordpress platform) for a chain of fresh Yogurt franchises. 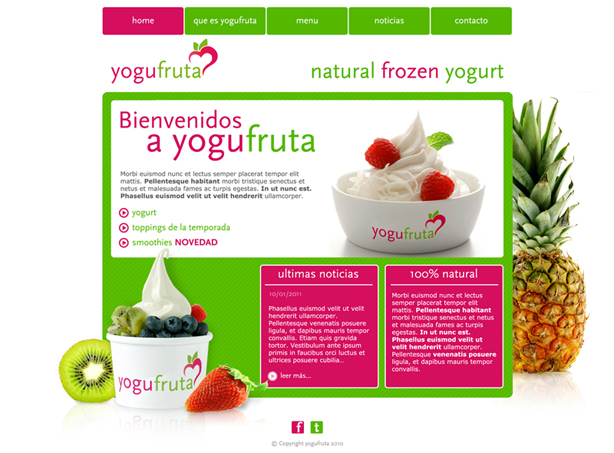 The web had to be clearly related with the colors of the corporate identity of the brand that is composed of a few colors very primary and striking. 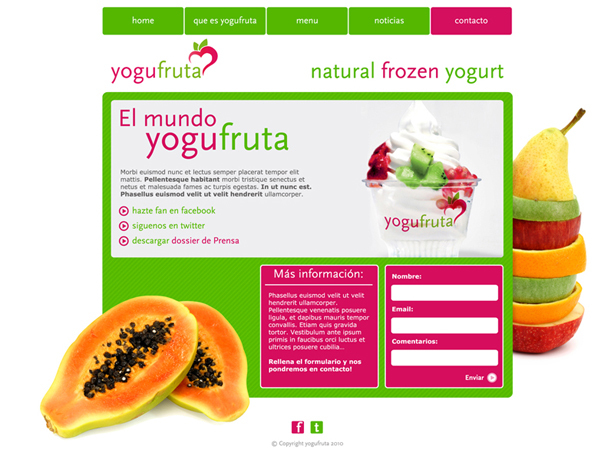 The Healthy concept is present in all the pages of the web by using images of ‘glossy’ fruit and toppings! 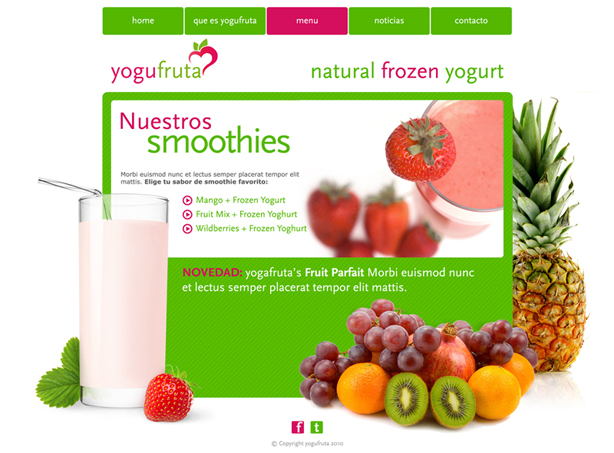 Each page has other fruits to create a feeling of rich content. 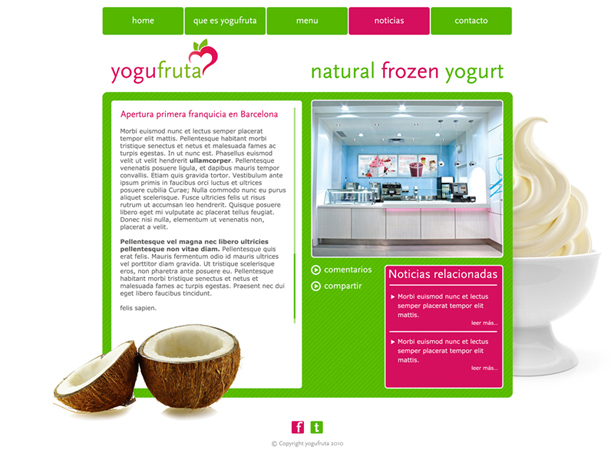 The function of the page is informative, especially for potential interested parties to open franchises.